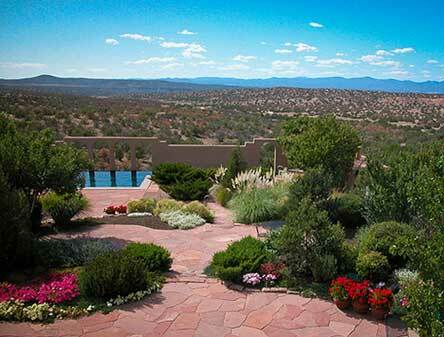 Secluded and intimate, Hacienda is a “hideaway” guest ranch twelve miles northwest of Santa Fe, on 336 acres, bordered by the Tesuque Indian Reservation; Federal lands; the Horcado Ranch area; and the old Jacona Spanish Land Grant. Situated at 6,500 feet, the site is contiguous to over 150,000 acres of open land, with panoramic views to the mountain horizon. 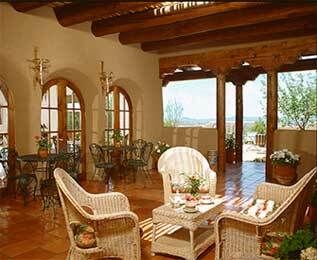 The Hacienda is all inclusive with a full breakfast, lunch, a five course dinner, and our wines. For the select few . 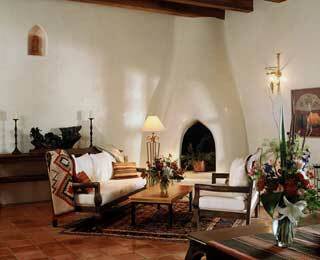 . .
an all-inclusive resort of ten suites, gourmet food, tennis, pool, and Arabian horses.